Hello my lovelies! What can I say about September? This month has been a roller coaster for me and it definitely flew by. I was away, I worked a lot and exercised a lot. The weather has been warm for weeks, which is what I love. 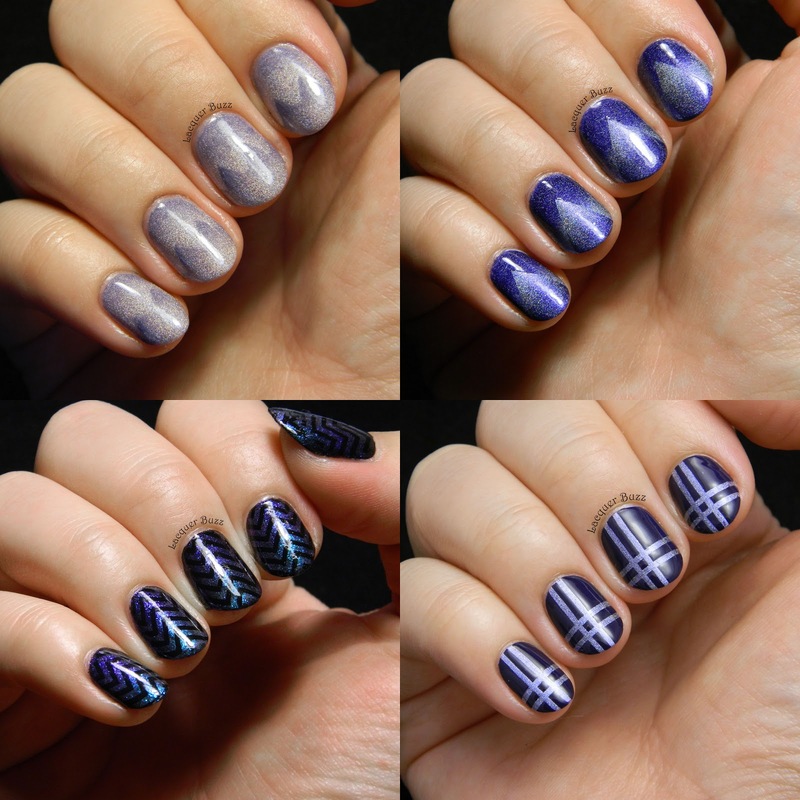 One of the best things about this month was the fact that I managed to do a lot of nail art. It's been the month of gradients because I just couldn't get enough of them. That's why most of my favorites include a gradient of some sort. I had a lot of options but ended up with these 4 manicures. Take a look! Hello my lovelies! Another week starts today and all I want is warm weather. We've had a very cold week, which was quite depressing because I'm so not ready for fall. Even though I'm a December baby I enjoy the summer and hate the cold. One thing I do like about fall is the fashion. I've noticed that the plaid pattern is really in this year and I love it. 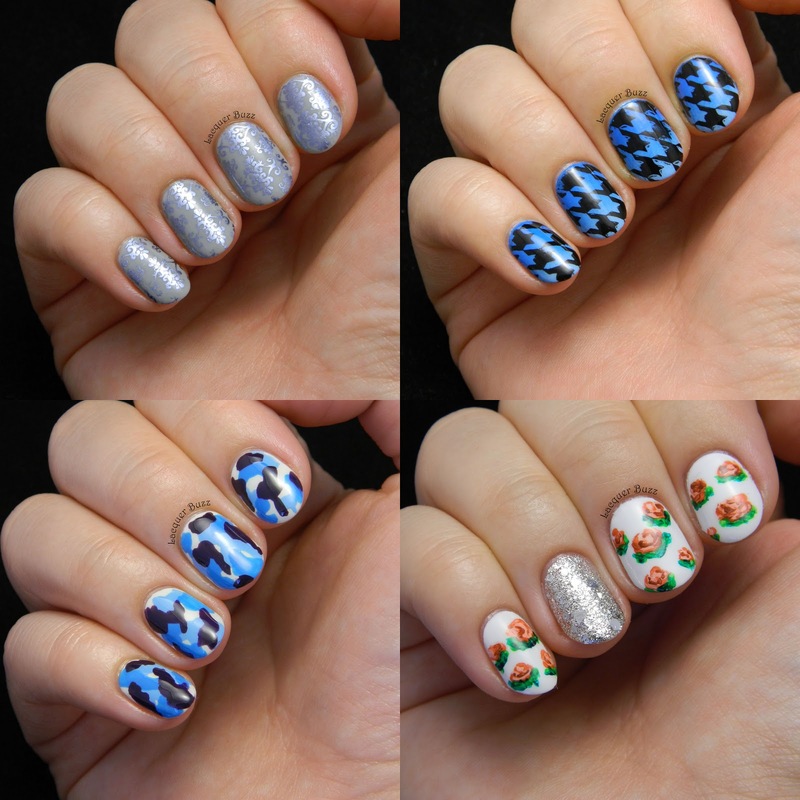 I tried to create my version of plaid nails and here's how it came out. Hello my lovelies and happy Sunday! Believe it or not, I have no idea where this week went. I meant to blog some more but time just flew by. I'll try to redeem myself today with a manicure that I really enjoyed wearing. It's one of those manis that looks better in real life than in photos but I did my best to give you a glimpse of reality. Here's what I'm talking about. Hello my lovelies and happy Sunday! 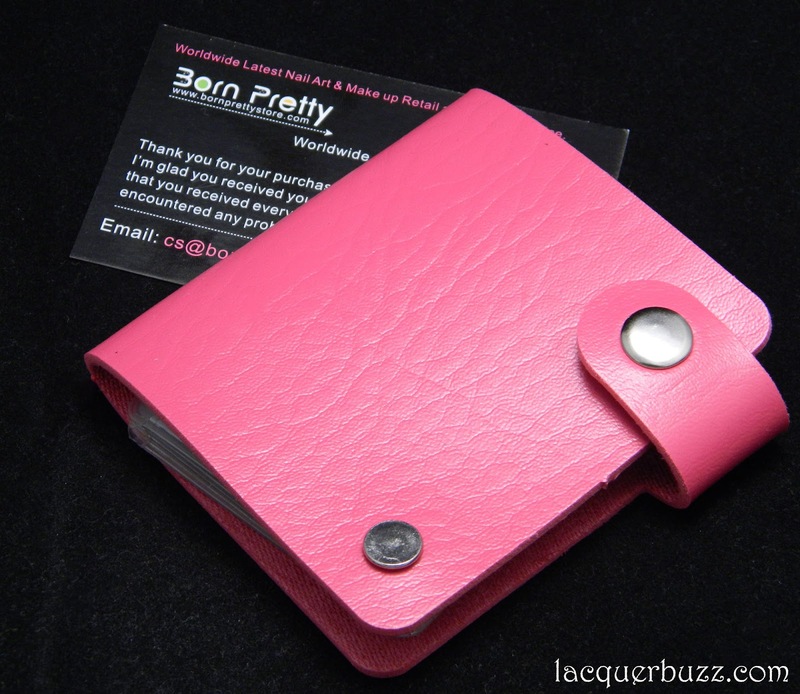 Just a quick post today to show you a handy little object that the lovely people from the Born Pretty Store sent for review. It's a stamping plate organizer that can hold up to 24 plates at once. You probably know that I have a large stamping plate collection and I'm always on the lookout for a may to store them. This type of holder is perfect both for storage and for carrying your plates around. It looks like this. Hello my lovelies! It's the end of the week and it's finally time for me to get less lazy and show you some nails. I hope I will write a couple of posts this weekend so please expect lots of nail action from my blog in the following days. A few months ago was the birthday of my good friend Kinga, so naturally I had to get her some special polishes. She is really into milky glitters and hadn't tried any Asian polishes yet, so I decided to order some Korean beauties for her. I initially wanted some from Etude House but couldn't find any good ones online. Instead I went for The Face Shop and VOV, a brand I didn't know about before. If you wanna check out her review of the polish I got her from The Face Shop you can check it out here. 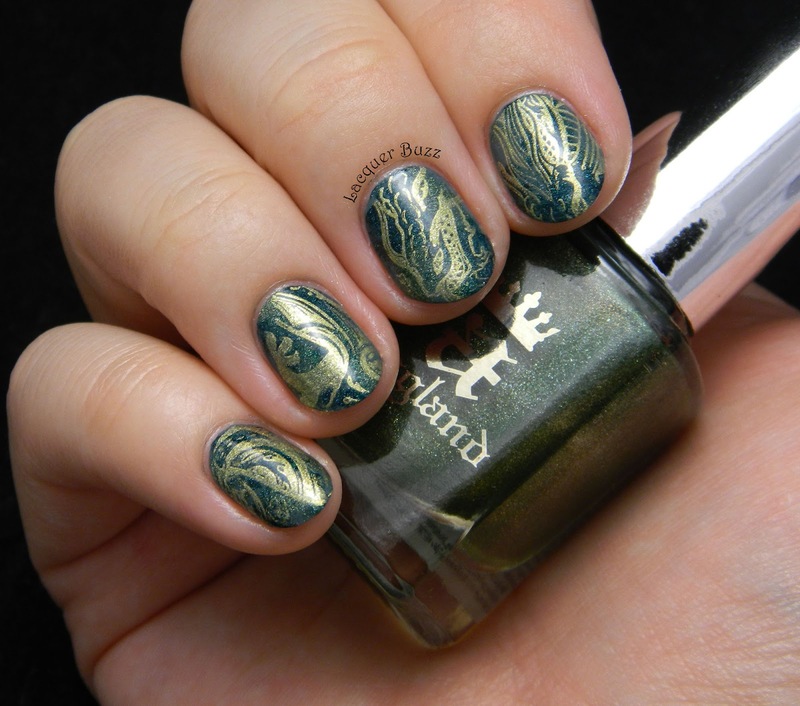 While I was choosing the polishes for her, I saw this interesting one from VOV that I had to get for myself. Back in May when I reviewed this milky glitter polish set, I complained about the pink being too girly and sweet for my taste. This one on the other hand is more of a lilac pink and it's perfect. See for yourself! Hello my lovelies! 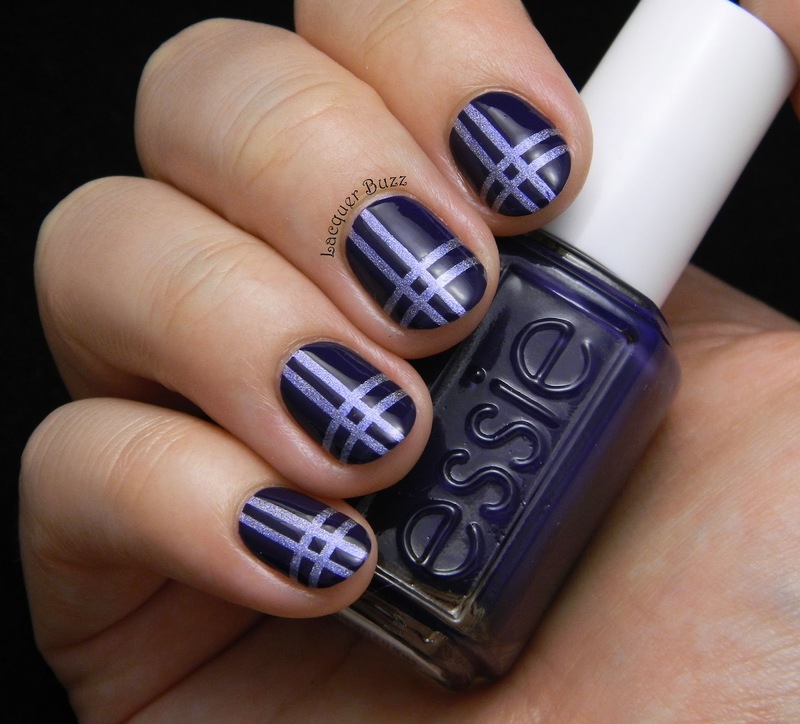 It's Monday, which means I'm bringing a new blue manicure to the blog. I've had a great relaxing weekend so there's no reason to feel down today. I always say that there's no reason to hate Mondays if you love your job. 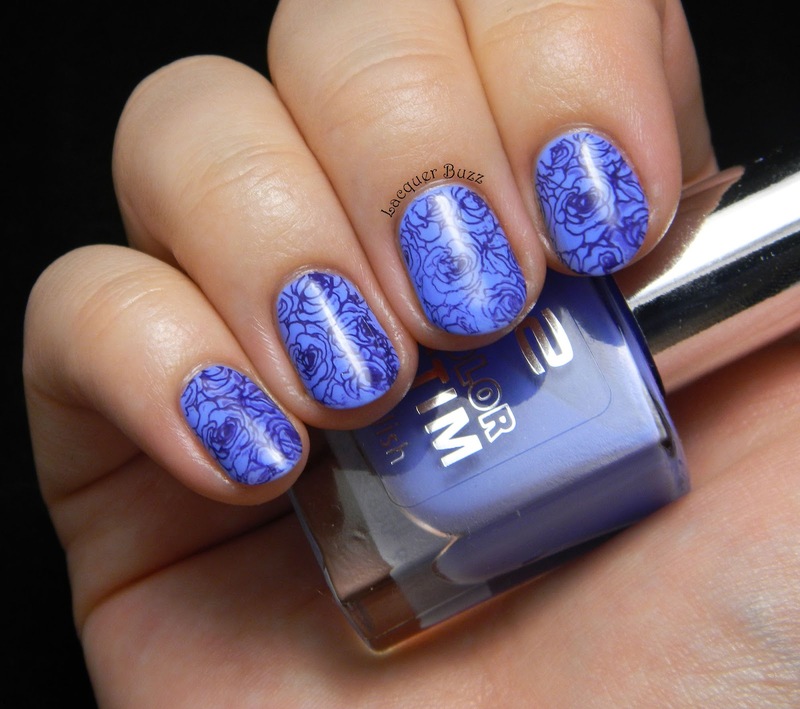 The nails I'm showing you today were done in a hurry and the stamping isn't that perfect, but I still like the image and the colors together. So here we go! Hello my lovelies! Today's post comes a little later than usual because I was away and didn't have anything prepared in advance. I also worked a lot to do these nails and I'm very happy with how they turned out. I must admit that it took me quite a lot of time to finish them, but I think it's totally worth it. A few months ago I tried to create my first reciprocal gradient, which turned into a fiasco that I didn't even post on here. After that I swore to never try it again, but after I created a successful scaled gradient, I was encouraged to give it another shot. Here's how it turned out. Hello my lovelies! It's Saturday so that means it's time for another installment of the Alphabet Nail Art Challenge. This week's letter is S, so I decided to show you a scaled gradient. If you don't know what a scaled gradient is, don't worry because I had no idea either until a couple of weeks ago. 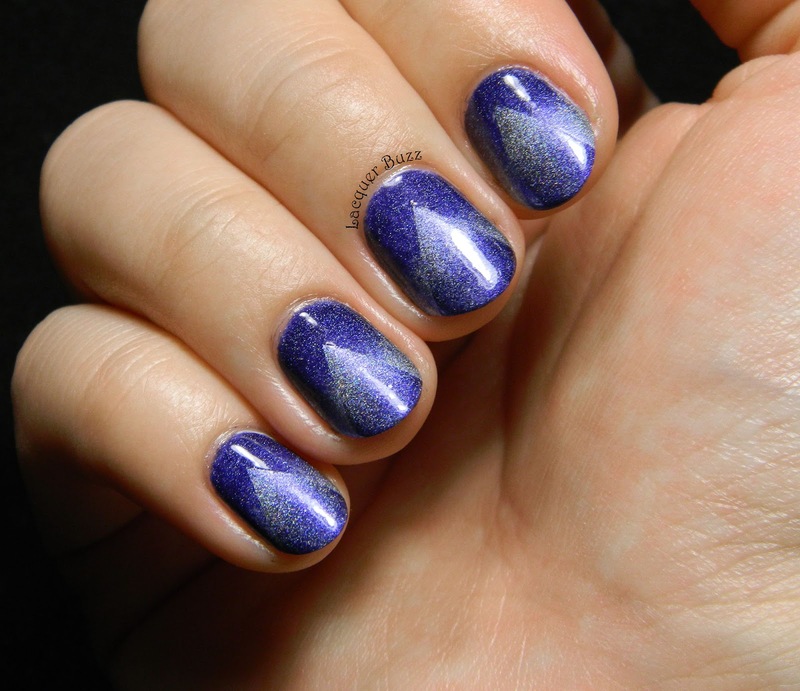 But then I discovered the talented artist called Simply Nailogical. 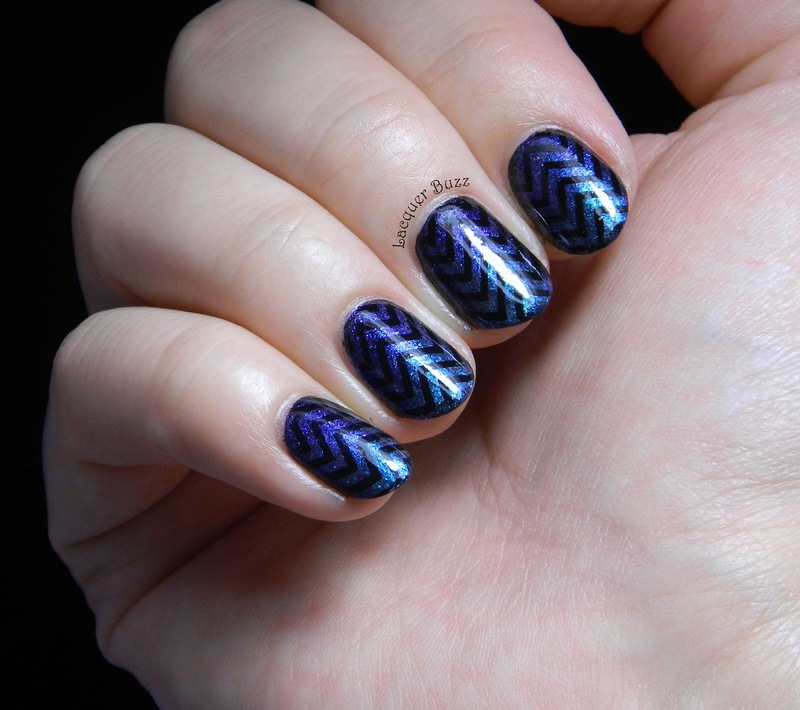 She's the queen of scaled gradients and she also has lots of tutorials on her blog and Instagram profile. The particular one that inspired me can be found here. Of course I only did two layers and used two colors for my manicure, so it's only half as awesome as her's. I still loved the result though. Hello my lovelies! I'm really proud of myself because I'm not a bad blogger anymore. Even though I'm going away for a conference this week, I still managed to schedule some posts for you to read while I'm gone. The first one is this one, where I will be showing you two OPI shades that I've swatched through the courtesy of my friend Kinga. Unlike me, she has a larger OPI collection and I managed to borrow a few of them in the last months. 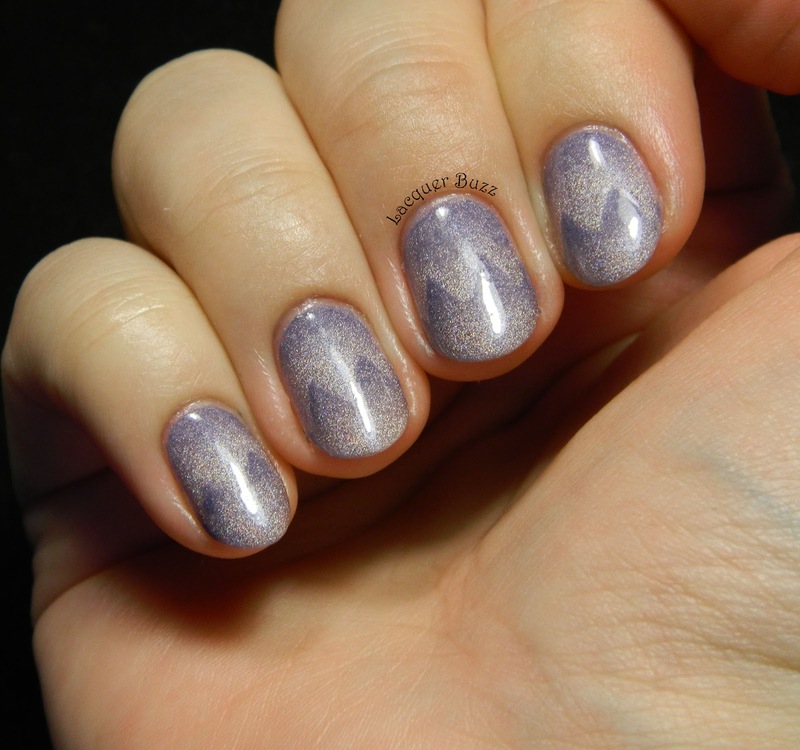 First up we have a gorgeous purple Liquid Sand that I really loved. Hello my lovelies! August is over, which means a little recap is in order. I didn't do one of these posts for July, just because there wasn't much to show, so now I have two months worth of favorites and purchases to show you (hence the title). It's been quite a busy summer for me so nail art wasn't my priority. I didn't post much and the manicures I posted were quite simple. I did manage to gather a few favorites though so here they are.